In 1956 the Fiji Arya Samaj at its Golden Jubilee Celebrations held at DAV College, Dayanand Nagar, Nabua, Fiji took a decision in the presence of the then Governor Sir Ronald Garvey to establish University College in collaboration with overseas universities. This decision remained on the drawing board for 44 years for want of finance. 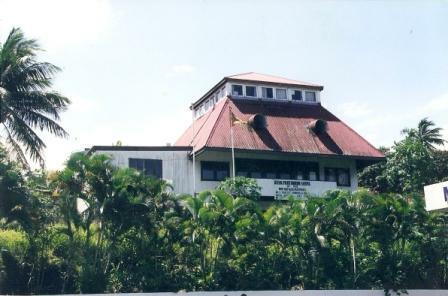 In 2004 the Arya Pratinidhi Sabha of Fiji Education Committee, the National Executive and the Special General Meeting of the Sabha with support of associated academics took a decision to found a University at Saweni, Lautoka to mark its Century of existence in Fiji and on 19th December 2004, Arya Samaj publicly announced in the presence of the Prime Minister of the Republic of the Fiji Islands Hon Laisenia Qarase its intentions to establish The University of Fiji and commence its operations in 2005. The University opened with 180 students after an inaugural public lecture on 14th March 2005. On the invitation of the Arya Pratinidhi Sabha of Fiji a wider community based Interim Council was formed of post primary education stakeholders to administer the University and the University of Fiji was officially dedicated to the people of Fiji on 5th March 2006 by the Prime Minister of the Republic of the Fiji Islands Hon Laisenia Qarase in the presence of some 400 Invited dignitaries. The University project would cost the Sabha $10,000,000 over the first five years and the Sabha is immensely pleased with local and international as well individual and group financial support to the University so far. The Sabha now provides education to the nation from preschool to university level. This achievement of the Sabha is assigned to the Founder of Arya Samaj, Swami Dayanand Saraswati for his profound words of wisdom when he proclaimed “that the responsibility to educate every child through broad based proper education in humanities and the sciences was that of the nation as a whole”.